Hello Guys, today's topic is about On-Page Optimization or On-Site Optimization, here we will talk about What is On-Page Optimization?, What are the top On-Page Optimization Techniques?, How we can get best organic traffic? So friend read this useful article up to last to know the On-Page Optimization tricks and techniques to rank your website in First Position of SERP. Search Engine Optimization (SEO) is a trick and practice to increase the online visibility of a site on the Internet to attract organic traffic source and affects the ranking position of a website in SERP (Search Engine Result Page). SEO can be done in two ways: On-Page and Off-Page. What is On-Page SEO and How does it work? On-Page SEO(On-Site SEO):- In a simpler meaning, On-Page SEO is a technique of SEO that is done on your website or web page. Role of On page on S.E.O is about 38%. On-Page SEO means to optimize whole site/blog which also means to customize permaLink structure, Keywords using, Meta Tag Optimization, Internal Link Building. Why On-Page SEO is needed? Mainly search engine algorithm, find different factors in your post or content and rank your post for some keywords or search queries. On-page optimization helps to both visitors and crawlers to understand better. What are the Key points to be considered for On-Page SEO? Internal Link refers to those link that goes from one page to another page on the same website. When a visitor visits your one blog post and immediately exist so to make them stay connected to your website Internal Links are helpful. So internal links help to reduce your bounce rate by making them stay for a longer time on your website. Also called as anchor text or hyperlink that connects the content of one page to another page within a website. Important for On-Page SEO that will rank your site on Google because it makes easy to google bots for crawling and indexing our site. > Include up to 2-3 internal links for 500-word content. > Open a new window for the internal link so that initial page will be remained open and your users can judge comparatively. Theme selection is a main key point to be considered because Google chooses only the web page that runs faster. So, you should only select a theme i.e. light weighted so that the loading speed of your site becomes less and it will be easily loaded. Note:-If you choose a theme with flash animation, more images then it will take more time to load and it makes irritating to your viewers. Add a new and unique site title or you can put your site title according to your main keywords for your site so that your site will be indexed high on google. Research in Google Trends to find latest Topics that have a high trend in Google. Most of the people search on Google using the words like "best", "latest", "guide", "review", "list". All these words are called Modifiers. Using these modifiers to your Title you can get ranked for your keywords easily. All queries used while searching something on Search Engine are called as Keywords. Keywords are the words for which we can rank our website in search engine result page. Keywords will help to increase the ranking position of a website on Google and provides the best organic traffic. Keywords density must be about 1.5 % of our total content. Keywords must be used in Title Tag, Heading, Meta Description, Meta Keyword and in Content too. • which keywords we are using on our site? • how can we promote our site from some type of keywords? • Practicing SEO for such keywords such that our website will get top rank for some particular keywords. To get a fast result you can drop your targeted keywords in First 100 words. While crawling and indexing by a search engine, a tag is mainly crawled but tags are not displayed to the user. So if you want to get ranked your website then you should consider HTML Tags. Here we only consider optimizing HTML page without developing a page. Tag Optimization includes Meta Title Tag, Meta Description, Meta Keyword Tag. These Meta Tags will not be visible to users but these tags are only visible to Google bots, with the help of Meta Tags we are able to give information located inside our content and blog. Meta tags are the way of providing the description of a post. Robots.txt is a text that tells a search engine that "which page should be crawled and which not should be crawled". >>Also Read What is Robots.txt file and Importance of Robots.txt in SEO? In Search Engine Optimization Content is known as King to optimize a website on Search Engine Result Page (SERP). Try to give more and more lengthy content because the length is a strength. Use few Multimedia files and flash animation since these images, videos drop down the site speed and if you want to enable Google AdSense on your site then Google is also not allowing multimedia and flash player. Read>> Technique to Write SEO Friendly Blog-Post like a Professional Content Writer. Visitors will come to your site and engage for a long time only if your content is easily understandable with no spelling mistakes and if it gives the required information to your visitors. So Search Engine also crawls and index to only those pages with High-Quality content. Therefore, create a high-quality content or article that will be easy to read for your users. And get more feedback from your visitors to improve your content writing skill. Optimize all the images included on your page to get traffic from your images. Add "Alt Text" on every image and include your targeted keywords inside "Alt Text". 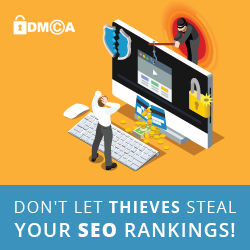 Do not include copyright subjected images inside your pages because Google may penalize your website. Social Media share may not actually work to increase your sites rank but increase page views and social media traffic and expose your business on Social Media that will also increase your social media follower.